A number of models have been discontinued since our last small van review. It would seem that having tested the market, many manufacturers have decided to whittle away at their selections. 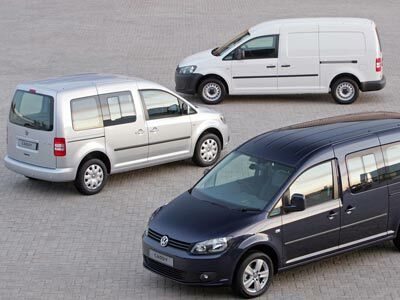 VW Caddy currently offers the most variants and also sells by far the most vans locally (as of December 2011). 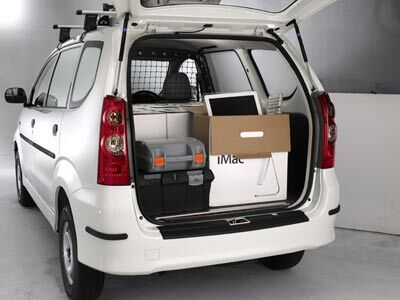 The smallest van in our line-up is the Toyota Avanza, which also has a very narrow load area. The biggest is the Maxi version of the Caddy. A very practical solution is the Caddy Crew Bus with its second row of seats resulting in a 1.6m³ load volume (there is also a seven seater). Because vans are used in mainly urban settings, all the manufacturers offer petrol models, which are more fuel efficient in stop-start conditions and for very short trips. Diesels are, of course, more efficient over longer distances. Volkswagen has four models on offer. This line-up includes a standard panel van, which can carry 741kg, and has a 3.2 m³ carrying capacity. It is available as either a 1.6-petrol or a 2.0-TDi diesel. The Maxi is 1m³ bigger in the back than the standard model, while the Crew Bus has two rows of seats and features a 2.0-TDi diesel engine. The Avanza is quite a bit smaller than the others vans here and is much narrower. On the Highveld the performance is adequate, but at the coast quite good. The cabin is not as geared to working when compared to the interiors of many of its competitors, nor is it as well appointed as the rest. The Combo has ABS and a driver airbag, and speed-sensitive power steering making for a very safe small van. The Kangoo uses space brilliantly, both in the cabin (which is very comfortable) and at the back. The central storage module allows you to keep essential items at your fingertips. A central in-dash storage compartment is ideal for A4 documents. Or for bulkier objects, you can use the overhead parcel shelf. The Kangoo has by far the best warranty. The new Partner is a good looking and well designed van. The cabin is very practical and comfortable. The Berlingo has just been re-launched at a special price of R160 190 for the 1.6-petrol model and R 192 690 for the diesel. 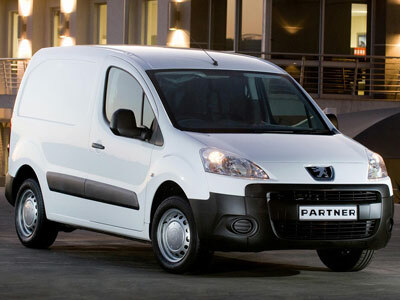 It is very similar to the Peugeot Partner in all respects. A snag for most small business owners is that the Berlingo is sold and serviced through Citroen’s commercial vehicle network at their relatively few and far between Business Centres and so access could be quite inconvenient. *All prices correct at time of going to print.